It's about time I started a thread for this. As of now, the only non-Pixar graphics I have are HtTYD-related, so any other fans out there can snag one if they want to... just be sure to ask me first or credit me in your sig! I was actually wondering if you were gonna do this...and my wish came true! Haha, yeah, I figured it was about time I got around to it, cuz I have a feeling that the HtTYD graphics, especially, will be on the uprise as we get closer to the DVD release. Yes, indeed the quote is from that song! [spoil]I actually plan on making a MV for HtTYD to that song once we get the DVD, cuz it really made me think of the movie when I listened to it again a while ago. [/spoil] As of now, I don't really have many high-quality images to work from, so they're slow-coming. When I have a lower-quality image, it takes me longer to create a nice-looking sig without compromising quality. For instance, the 'Don't look down' sig had very low quality and a lot of grainy-ness, so I had to use all kinds of weird effects to smooth it out and get it to look nicer. 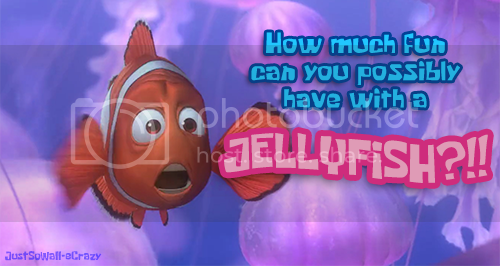 One of the many reasons why I'm so excited for the DVD release. Man, I ramble...! xDD I'm glad you enjoyed these - I'm not sure when I'll be making more, but you can always keep an eye out. I've never seen HTTYD, but these look great! And "Brave" by Nicole Nordeman is a really good song! Location: I forgot where I live!!! *snaps fingers* Yeah, that's the song, "Brave"! I was trying to recall it in the 'Best Sigs' thread. Anyway, great sigs! I too can't wait for the DVD to make some fan videos! So... yeah, great sigs! My favourite is... ah, all really. TDIT wishes all Planeteers a merry Christmas and a happy New Year! Watch the epic new trailer for GTA V.
little_chef_eva09 wrote: For instance, the 'Don't look down' sig had very low quality and a lot of grainy-ness, so I had to use all kinds of weird effects to smooth it out and get it to look nicer. Yay, these are all lovly. My favorite of your sigs is the last one with Hiccup looking suprised. I would have that look too if I saw a dragon. Thanks so much for all the compliments, you guys! I really want to make more of these, and just got a million screencaps to work with, but they're all not the greatest quality and it makes it really hard to do stuff that looks nice with them. I mean, I can pull it off, but it's that much harder to work around the low quality. We'll see what happens! I'm glad you guys enjoyed those few! I looooove your HtTYD graphics!! I hope to see more! Thank you, Hannah! I've been trying to come up with ideas for some more. Normally I don't do stuff like this last-minute, but I am such a stickler for the rules, and I have been wearing this sig for quite some time now. I am such a fan of that sig! Is that stupid of me? No, in fact, I think that's very clever! It shows you understand instructions, laugh out loud. 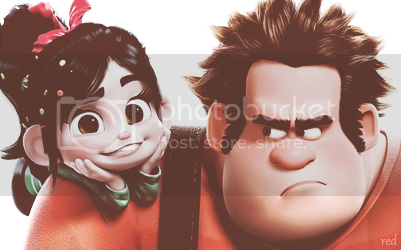 I've just watched Wreck-It-Ralph (you can read my review on Tumblr) and I adore the "bickering partners" relationship that Ralph and Vanellope share. And that image in your sig of Vall grinning and Ralph giving this angry sideways look is so funny!